You start by cooking bacon in a large skillet. That’s always a good start, but it’s an especially good start when you’re cooking kale! Bacon and kale really are wonderful together. 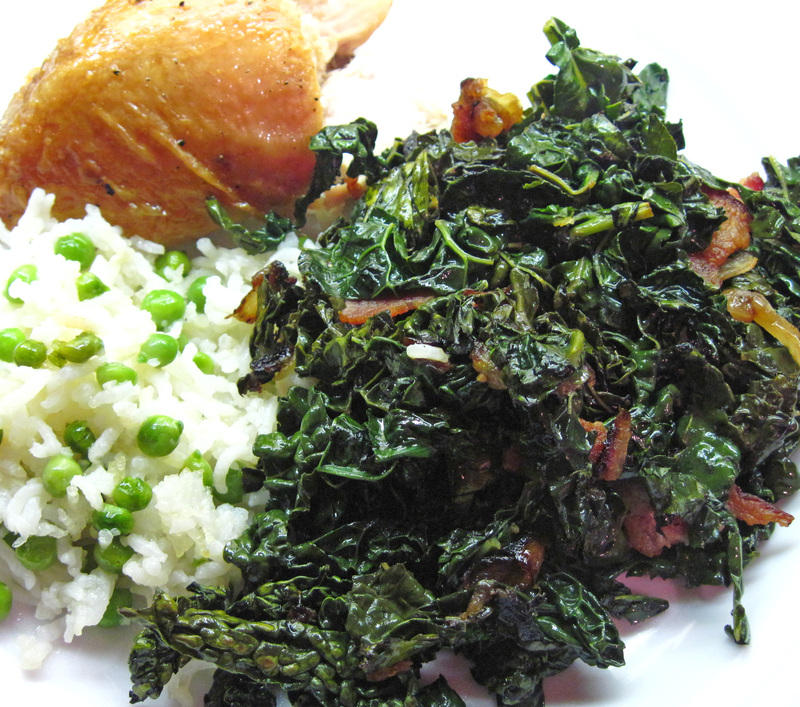 I served this Braised Kale with Bacon with roast chicken, rice with peas, and a salad. 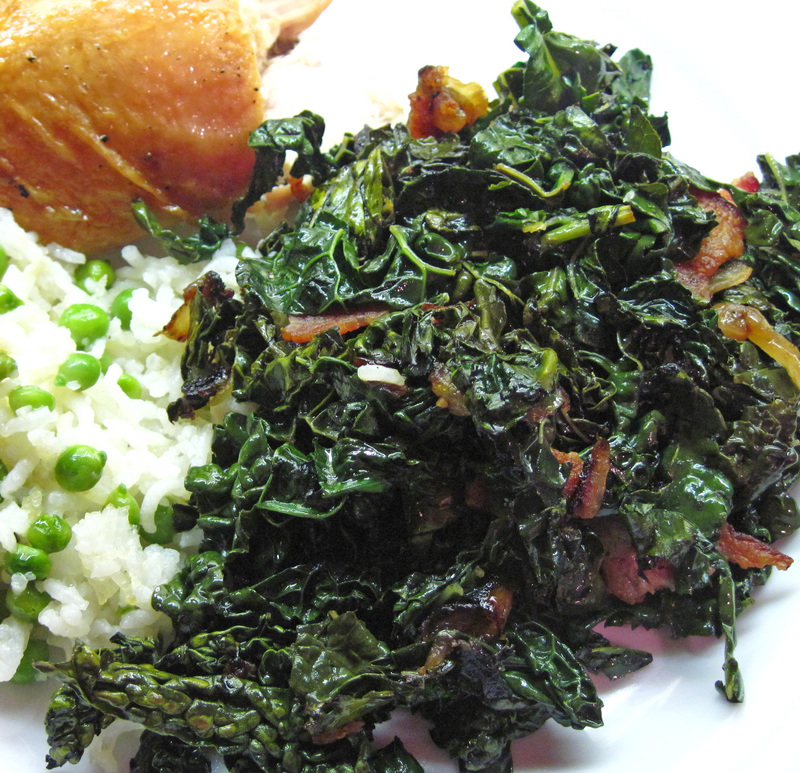 The Braised Kale with Bacon was the star of the meal! 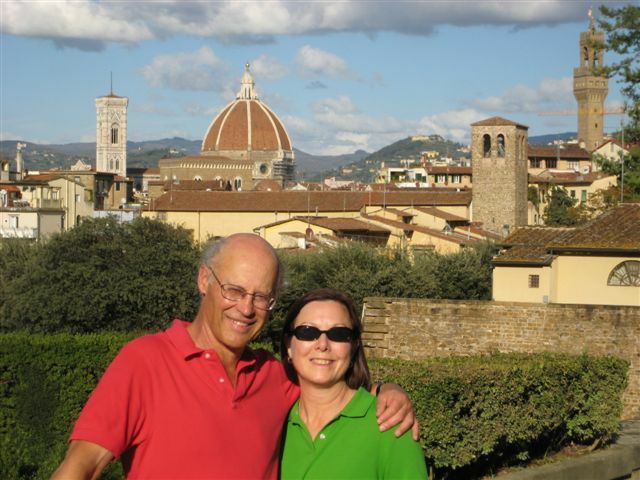 The recipe is adapted from a recipe by Grace Parisi on the Food & Wine website. The original recipe makes 4 – 6 servings. I cut it down to serve 2. 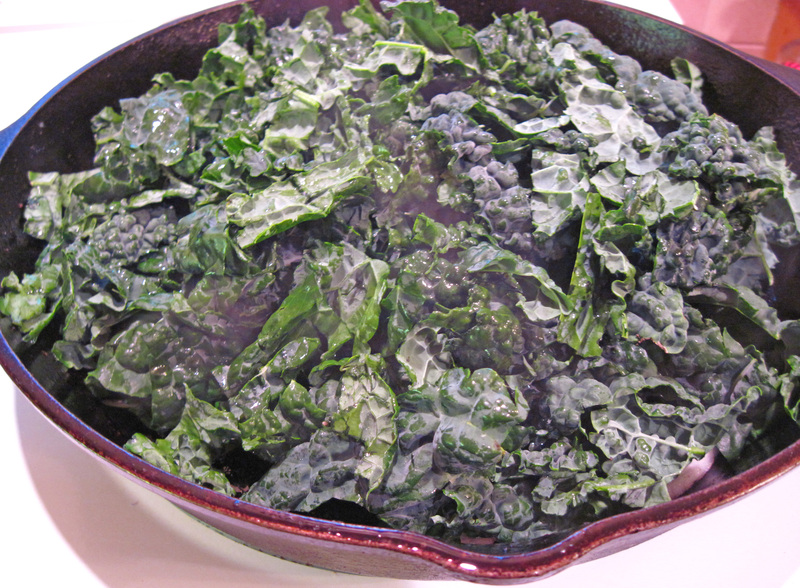 I used Tuscan kale (aka Lacinato or dinosaur kale) but you could use any type of kale. 1. 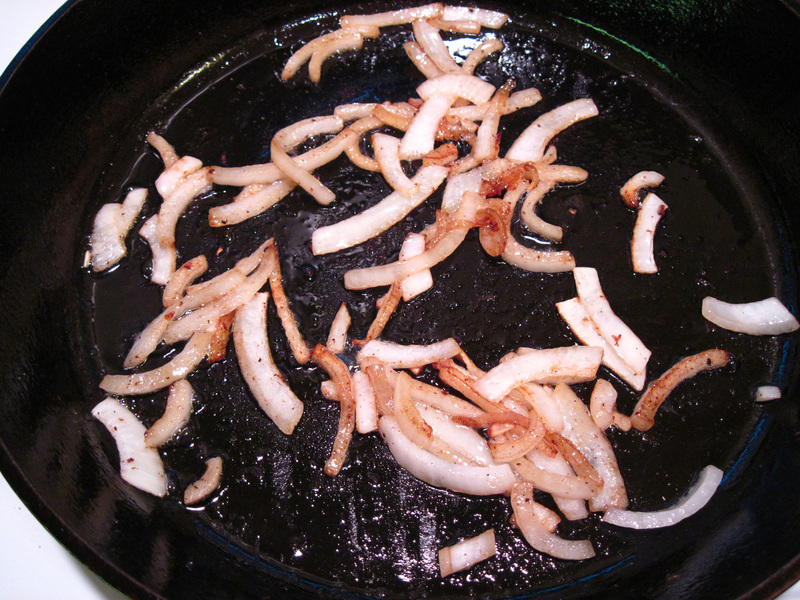 In a large skillet, cook the bacon in the olive oil over medium low heat, turning occasionally. 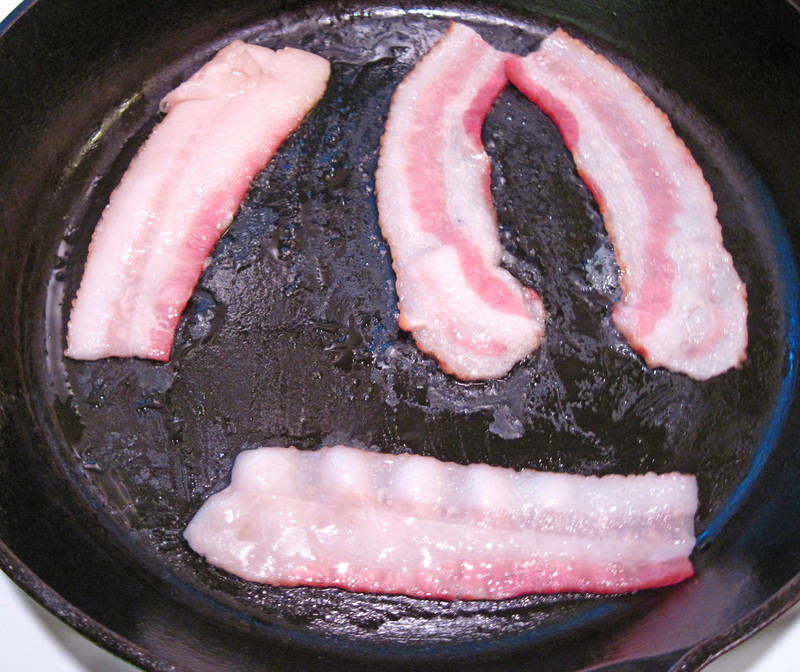 When the bacon is done the way you like it, remove it leaving the bacon grease in the pan. This is two slices of bacon cut in half. 2. Coarsely chop the bacon and set aside. 3. Raise the heat to medium and add the onion and garlic to the pan. Cook, stirring occasionally, for about 6 minutes, or until the onion and garlic are just starting to brown. Ready to add the kale! 4. Add the kale to the skillet. Season with salt and pepper and stir. 5. When the kale has wilted a bit, stir in the cider vinegar. Cover the pan, raise the heat to medium high, and cook for about 5 minutes or until the kale is tender. 6. Stir in the bacon and serve. It cooks down a lot! Thanks, Vanessa! 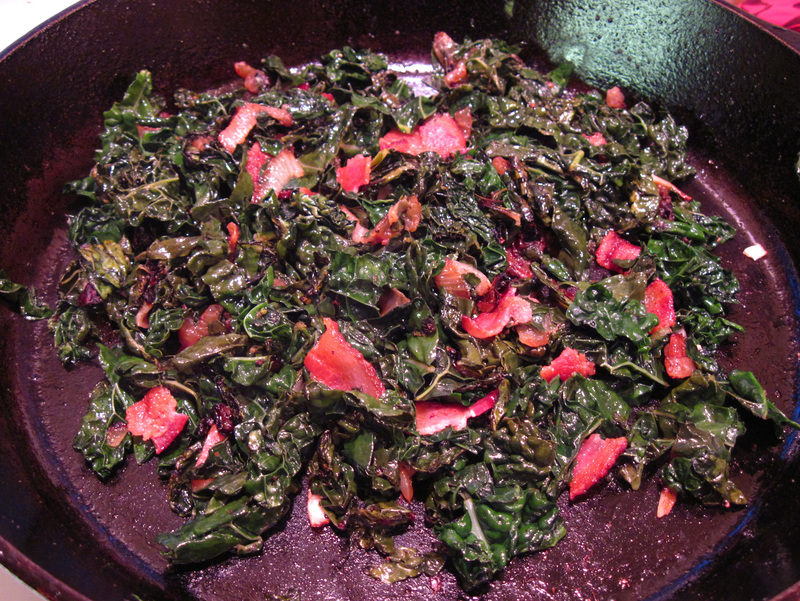 Bacon with mustard greens sounds equally delicious! The garlic doesn’t hurt, either. 😉 You might like it, Frank!